Last month the European Composer & Songwriter Alliance (ECSA) held a press conference at the Silken Berlaymont Hotel in Brussels to brief news reporters about a stance it was taking against European broadcasters on behalf of music composers. ECSA accused Europe’s leading broadcasters of forcing composers to give up their rights in return for TV commissions. 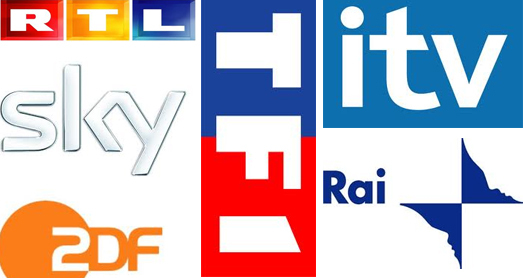 Big names in broadcasting, such as RTL, ITV, BskyB, TF1, ZDF and Rai, were all accused of operating a system called coercive commissioning – in return for awarding a composer with a commission, the composer must assign all rights in the music to the broadcaster or TV production company. Put simply, no rights, no commission. ECSA filed its complaint with the European Commission (EC) in January after first notifying the body of its concerns at a November meeting with the Commission Vice President Joaquin Almunia. In a statement ESCA said its most important objective as an organization was “the defense and promotion of the rights of Europe’s composers and songwriters at a national, European and international level by any legal means.” Since the complaint was filed there has been no word from the Commission concerning the likelihood of an investigation. All of the broadcasters have also remained silent on the issue. Does ECSA have a case? It certainly believes so and if it can prove the broadcasters have forced composers into giving away their rights in return for work then the EC will certainly have to act. According to ECSA, this sort of underhand behavior by the broadcasters is a clear violation of Article 101 and/or Article 102 of the Treaty on the Functioning of the EU. Depending on which side of the music industry fence you sit, extreme views on rights holders range from an embattled group of underpaid and often downtrodden artisans, through to a collection of undeserving hobbyists that always expect payments after the event. A small number of people outside of the music industry (and a surprisingly small number within) fully grasp the concept of authors’ and performers’ rights. Explaining to music users such as broadcasters that they must pay a fee to an author and performer to use their work as part of a broadcast or in a public performance can often come as a surprise. For authors and performers the fees charged to broadcasters are important income sources and can provide a stable livelihood long after the author or performer has seen their best days. There is an almost endless list of instances where rights holders have been forced to swim against the tide to uphold their rights. And the stage for the contest can be in any part of the world. It will come as no surprise that countries with strict governmental regimes often overlook rights holders. North Korea and Iran, for example, have little or no rights protection for authors and composers. In China, TV broadcasters have only just started paying the local authors’ society Music Copyright Society of China fees for use of its members’ work in TV broadcasts. India is edging towards copyright reform which will give rights holders a stake in movie productions. Echoing the complaint by ECSA, Bollywood movie producers have long held all of the rights holder cards in the world’s second most populous country. Currently, Indian film producers exploit musical works contained in movies through blanket buyouts that do not allow authors to control further uses of these works or collect royalties. This means that if music contained in a movie is used separately and independently through TV or radio broadcasts, or played in restaurants or public functions, the movie producer, not the author, receives royalties. Even in the world’s most advanced countries rights holders are battling for recompense. Over the last 18 months or so a growing number of artists have filed legal cases against some of the world’s biggest record companies claiming they are owed millions of dollars in unpaid royalties. Artists such as the Temptations, Chuck D of Public Enemy, Rob Zombie and his band White Zombie, folk musician Dave Mason and the estate of late singer and performer Rick James have all accused their record companies of using the incorrect basis for calculating royalty payments from the sale of digital music. Earlier this month Sony Music offered up a payment of US$8 million to settle a six year digital royalty class-action lawsuit filed by the Allman Brothers and Cheap Trick. Most of the digital royalty dispute claimants are artists whose best days are behind them. Although the underpayment of royalties is a bad practice at any stage in an artists’ career, not receiving what is rightfully owed impacts artists most in the latter stages of their careers. ECSA’s complaint certainly has nothing to do with the intricacies of digital music royalties, but there are similarities in ECSA’s claims and many other rights holder disputes. Injustice may be a good subject for a composition, but it won’t pay a composer’s bills. If you like this blog then Music & Copyright might be just what you are looking for. It is a fortnightly research service covering global copyright and legal issues affecting the music industry. Music & Copyright is unrivalled in its coverage of this complex and fascinating area of the music industry. A subscription also includes 23 country reports packed with all the latest industry data. Our extensive client list includes companies and organizations from all sectors of the music industry operating all around the world. But don’t take our word for it, please get in touch and we will send you the latest issue. Previous Post Does Adele’s success dispel the myth that the majors’ dominance hampers market access for indies?